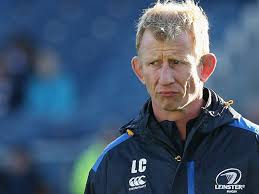 On Wednesday, it was finally announced that Leo Cullen would become the head coach of Leinster. It may have been an obvious choice from the moment he was announced as the interim coach upon Matt O’Connors’ departure, but sometimes the right choice is the one that has been staring you in the face for months now. Leinster have been in a transitional period since Joe Schmidt left. The season after that Brian O’Driscoll and Leo Cullen himself retired as players, and in the season just gone Shane Jennings has retired with Gordon D’Arcy also set to wrap up his career. As a province, Leinster have lost the coach that brought them their best years, some key leaders on the pitch, and as a result, the ‘Leinster way’ of playing. Its not that we need a manager with a proven track record to come in and overhaul the team, changing it at the core. We need someone who been with Leinster during the good times, and the bad times. Leo Cullen is just the man. Despite spending a few years with Leicester Tigers during his career, Leo is a legend of Leinster rugby. He captained Leinster to their three Heineken Cups and was an outstanding leader on the pitch. His impact on Irish rugby has probably been understated, possibly because he didn’t quite make the same impact on the senior team. However, he knows the club inside out and that’s just what we need. One of the things that held Matt O’Connor back, aside from having huge shoes to fill, is that he never seemed comfortable as Leinster manager, he just never seemed to sync with the province. It was not Matt O’Connor's Leinster, but rather Leinster with Matt O’Connor. He is by no means a bad coach; Leinster was just not his team. With Leo at the helm, no getting to know you period will be required. As from now onwards this is Leo Cullen's Leinster. And its a good thing to because this is going to be an extremely difficult season. For one thing Leinster will be missing a heap of key players for the first few months. Our three captains; Jamie Heaslip, Rob Kearney and Sean O’Brien, as well as our top two outhalves Johnny Sexton and Ian Madigan. In addition to this the squad depth will be tested. With Cian Healy, Jack McGrath, Sean Cronin, Richard Straus, Mike Ross, Martin Moore, Devin Toner, and Jordi Murphy all likely to be on the plane our forwards will be bare. In addition to this, we could lose two scrumhalves in Eoin Reddan and Isaac Boss, as well as Luke Fitzgerald. The likes of Dave Kearney, Fergus McFadden, Gordon D’Arcy and Tom Denton are all also in with a shout. This is a good thing for Ireland's World Cup campaign, but will obviously severely deplete Leinsters squad. Last year, when many big names were missing during the Autumn internationals and Six Nations, Leinsters form was poor. Leo Cullen knows the squad a lot better and should be better suited to rotating. With all that being said, we should not expect miracles. We are still in a transitional period with a tough European group shortly after the world cup. The aim this season should be to get back into the top four of the Pro12, that would be an acceptable return for a difficult first campaign. Pro12 15/16 is all about regaining the Leinster way. Next season we can dream bigger and push harder...for now, stability and progression is on the cards, and Leo is the man to provide that in the long run. I’d like to take a minute to acknowledge the death of a larger than live figure in Irish sport media, Johnny Lyons. I knew Johnny from doing a college work placement in 98FM. He took the time to let me come in a few evenings and help me with my broadcasting techniques. He was extremely honest and genuine with all his advice. The thing that stood out about him above anything else was his passion for sport, and his love for the job. If everyone brought that passion to doing what they loved the world would be full of one of a kinds like him. He had a great sense of humour, a huge personality, and above all he treated everyone with respect, and when he talked, you couldn’t help but listen. He had a positive impact on everyone around him. If you met him even once he would leave a lasting impression on you. He was a terrific broadcaster and a credit to Irish sport. I’d like to express my condolences to his family, friends, and all those at 98FM. Johnny Lyons was a great man who never took himself too seriously (or any amount of seriously really). He will be missed and deserves a moment of reflection from all those who love sport.